This color photograph was given to people visiting the governor's office. 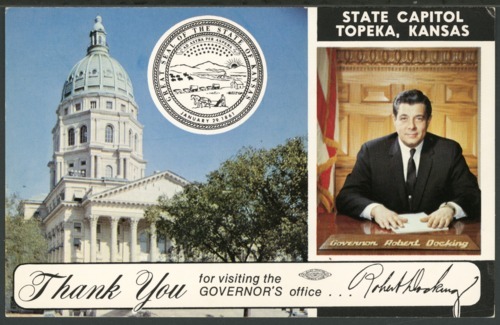 It shows Governor Robert B. Docking and the Kansas Capitol. Docking, a Democrat from Arkansas City, Kansas, served as governor from January 9, 1967 to January 13, 1975.